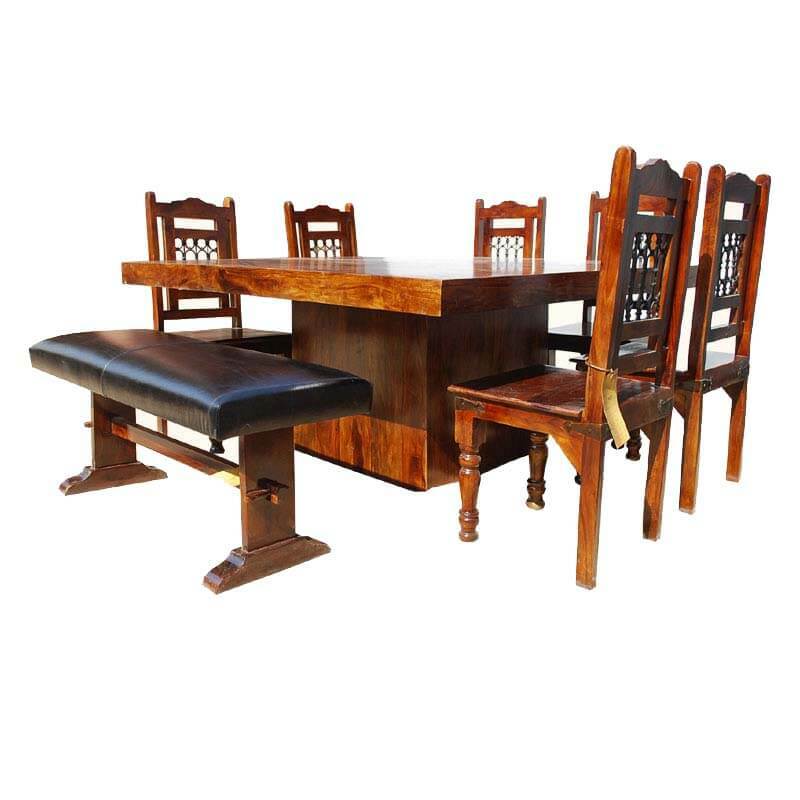 The Solid Wood Square Pedestal Dining Table & Chair Set w Bench will bring a unique charm to your dining area and enhance its beauty. 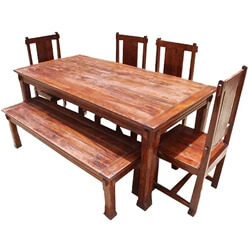 This rustic dining table is built using Solid Wood.It is known for unique grain patterns and long-lasting durability. 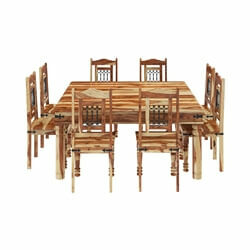 This dining set will be a perfect centerpiece for your dining room. 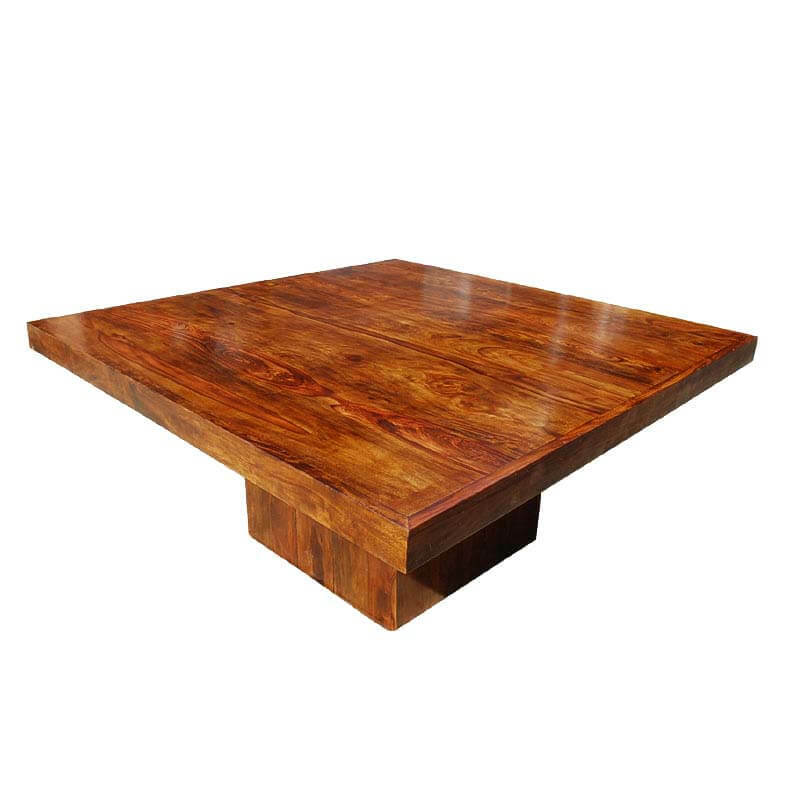 • Natural grain variation of Solid Wood on square table top adds to the rustic beauty of this dining table. 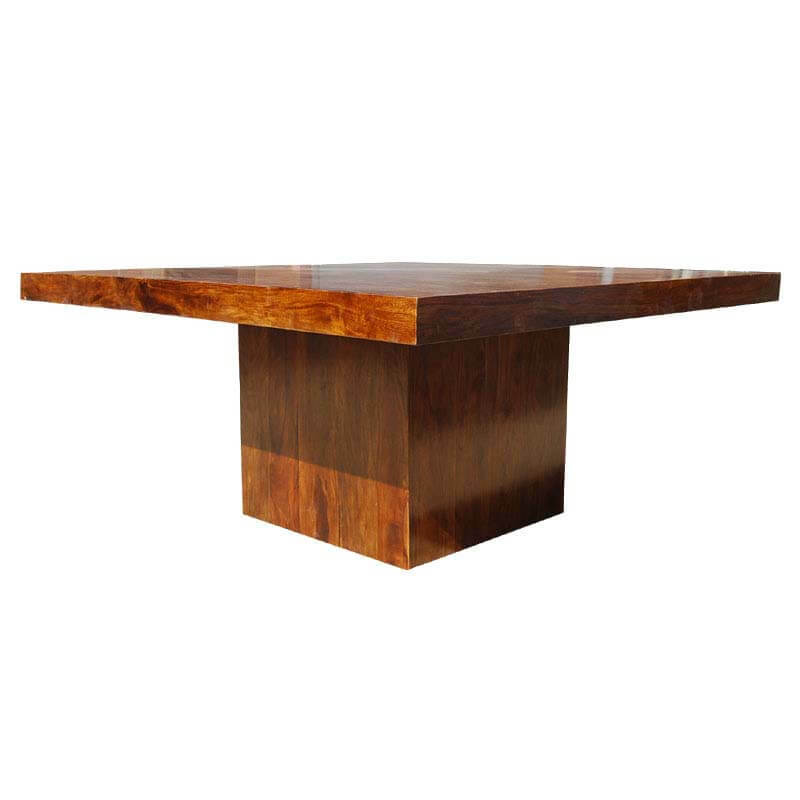 • Table base is crafted in pedestal design setting this dining table a class apart. 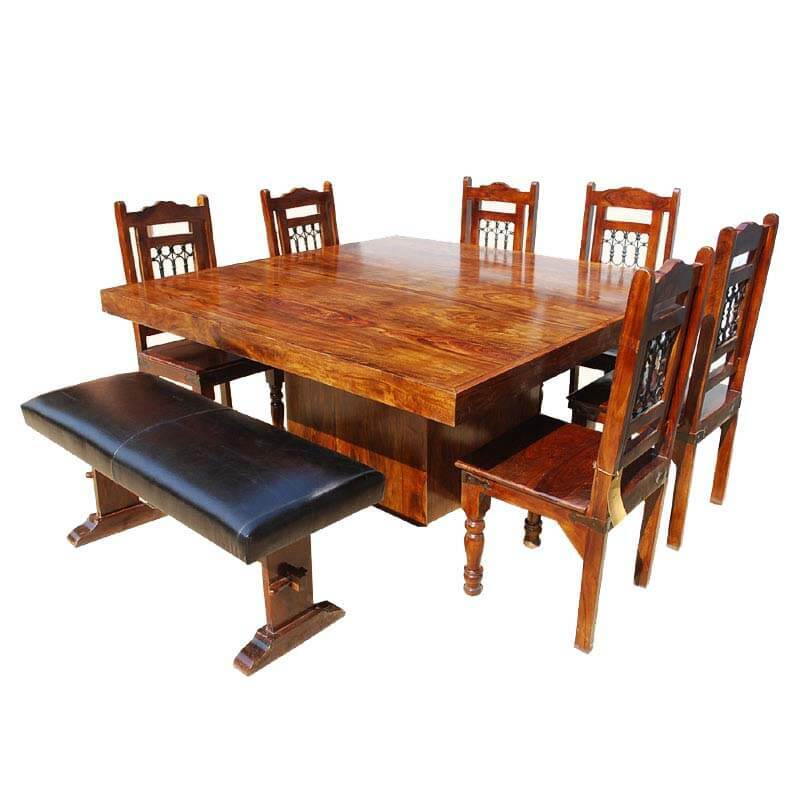 • This rustic dining set includes six chairs with wrought iron grillwork and country column front legs. 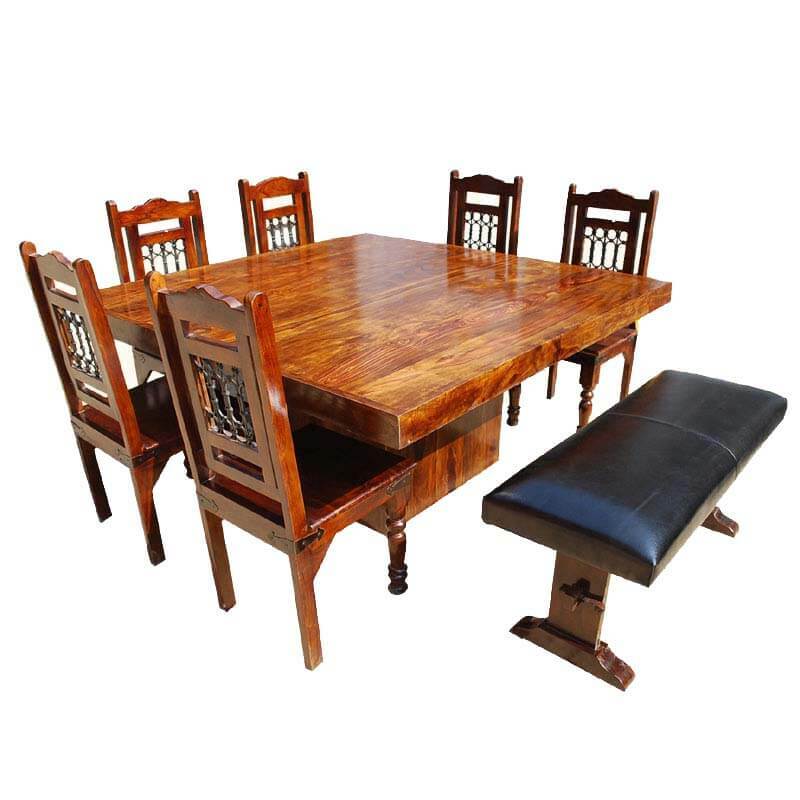 • Beautifully upholstered parson's bench completes this ultimate dining set. 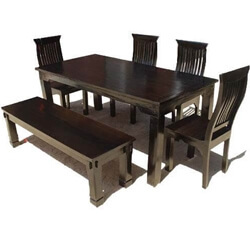 • The square dining table's size can be customized to your choice. • Choose your choice of stain at no extra cost. • Entirely handcrafted and features hand rubbed finish. 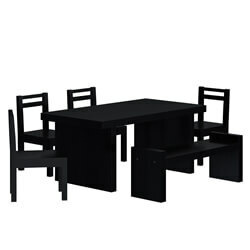 • This square dining table can comfortably seats 8 People.